January, 2018 – Daishichi Sake Brewery Co. Ltd. is holding a joint seminar on Sake-Food pairing with Le Cordon Bleu on February 1st in Paris, at the culinary arts and hospitality management institute. Daishichi and Le Cordon Bleu introduce the compatibility of Japanese sake and French cuisines to influential food and beverage professionals. This initiative to educate professionals on how Sake can be integrated in the highest level of cuisine, is in line with the Le Cordon Bleu mission to highlight international gastronomies with the support of French culinary techniques and savoir-faire. In this respect, Le Cordon Bleu Japan and Le Cordon Bleu Paris have launched a Sake certificate to initiate one the arts that define the beverage, and more recently Le Cordon Bleu Japan has launched a Japanese Cuisine Diploma. With the presence of Sake expanding internationally, creative and curious minds in the French gastronomy field are increasingly interested in the traditional Japanese beverage and how it can enhance their dining experience offerings. However, there hasn’t been enough sharing of expertise about Sake or its usability in French restaurants. Daishichi and Le Cordon Bleu, prominent organizations in the Sake production and culinary education fields respectively, collaborate to showcase a series of innovative pairing examples between Daishichi’s diverse variety of exquisite Sakes and Le Cordon Bleu’s mastery gastronomic creations. For the exclusive seminar, Le Cordon Bleu Paris Executive Chef Éric Briffard, Meilleur Ouvrier de France, produce a set of food samples using traditional and modern French cooking techniques and local ingredients - some as local as sourced from the vegetable garden on the rooftop of the institute. 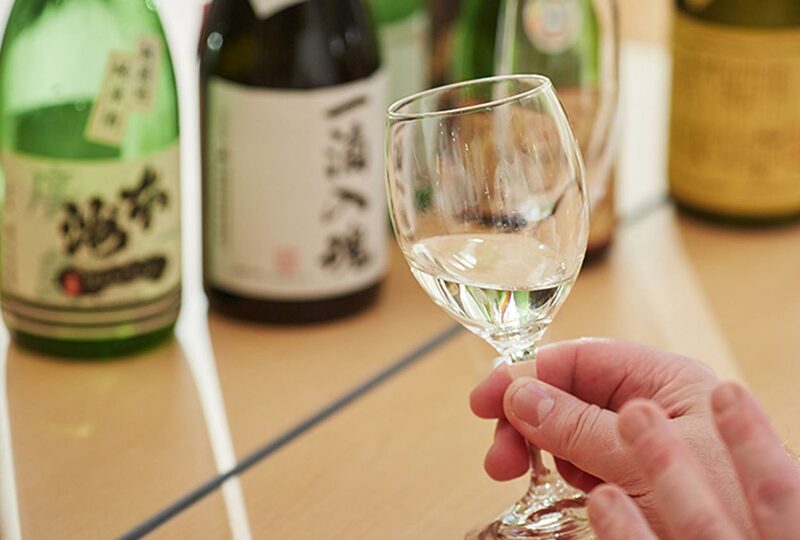 Daishichi brings fresh out of its cellar in the ancient Japanese city of Nihonmatsu its best ever selection for a seminar, including the highly-sought-after, top-end junmai daiginjo Myoka Rangyoku Grande Cuvée and the legendary semi-organic junmai masterpiece Shizenshu Kimoto 1992. Le Cordon Bleu Paris, Head of Wine Department, Franck Ramage moderates the seminar with an introductory explanation about sake, while Daishichi President Hideharu Ohta and Chef Briffard explains about the sake and food samples respectively and discuss why they harmonize well. Recipes and pairing examples are shared on the websites and social media pages of Daishichi and Le Cordon Bleu after the seminar.